A new marine gear shop has opened its doors on California’s South Central Coast. Mike Trussell officially opened Mike’s Consignment Marine Supply, offering pre-owned marine gear items to Oxnard, Santa Barbara and Ventura boaters. 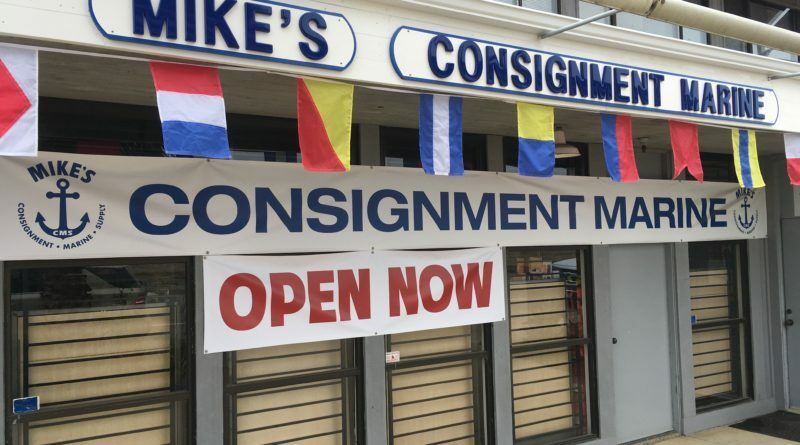 Mike’s Consignment Marine Supply, or Mike’s CMS, officially opened its doors in May 2017. The storefront is located on Harbor Blvd. near Spinnaker and close to the Ventura Harbor entrance. The new store, according to Trussell, features a huge selection of pre-owned marine gear, including all sail boat and power boat hardware from refits or upgrades in additional to sails, winches & handles, anchors, chain, props, BBQ’s, solar panels, fenders and much more. Items not found in the storefront might be available at the business’s warehouse. Trussell will be hosting a Grand Opening Happy Hour every Friday in July. Live music, a taco bar, free t-shirts and raffle prizes will be available to anyone who visits the store between 2 p.m. and 7 p.m. each Friday in July. Call 805-477-9881 or email info@mikescms.com for more information. The store’s website is located at mikescms.com.